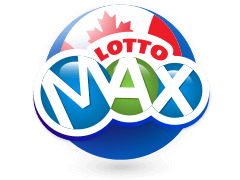 If you decide to play Canada Lotto Max then our website will always have the results of each draw. This is a weekly draw that takes place every Friday and is one of the most popular in Canada. If you do elect to play Canada Lotto Max then you will be participating in a draw run by the highly respected Canadian lottery firm OLG, they began life as The Ontario Lottery and Gaming Corporation back in the year 2000. Those who play Canada Lotto Max will be aware of the substantial jackpot pools that can grow in this game. In 2012 the total jackpot prize pool grew to roughly 100 million Canadian dollars although it should be noted there is cap of 50 million Canadian dollars on an individual winning ticket. To play Canada Lotto Max you need to select 7 numbers, which is a slight twist on the more common format favoured by most lotteries where 6 is so often the number required. What isn’t a twist on the traditional lottery format is the total guess range you must pick from, which is the ubiquitous 49. To land the jackpot it will come as no surprise that you need to correctly guess all 7 numbers drawn. An eighth ball known as the bonus ball is also drawn, but this influences only the lesser prizes and is not needed to land the jackpot.